For the longest time, I was lusting after the Disney additions to the Pandora lineup and it seemed they were never going to make their way out of Disney Parks and across the Atlantic or Channel Islands. There were rumours last year that they'd finally be launched into the UK market and lo and behold at the end of last year, we were treated to a selection of the lineup being released here. Of course, there is still plenty of Parks exclusives so you can commemorate a special trip with charms that you won't be able to get elsewhere. 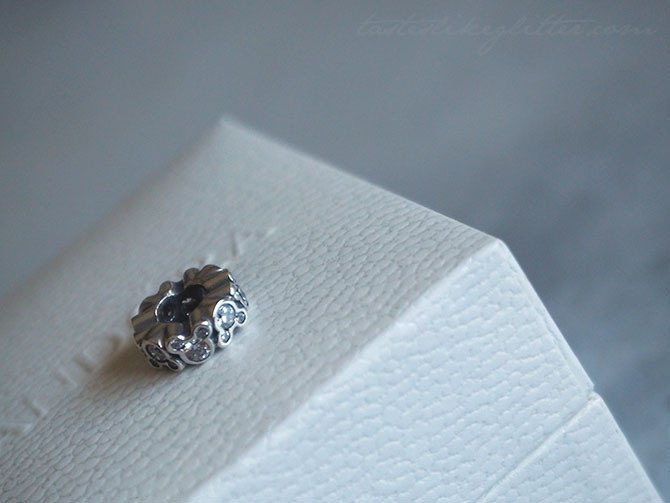 The Pandora just recently had their annual summer sale and as always, there was a hefty selection of charms that are discounted from both the regular lineup and those from the Disney collection too. 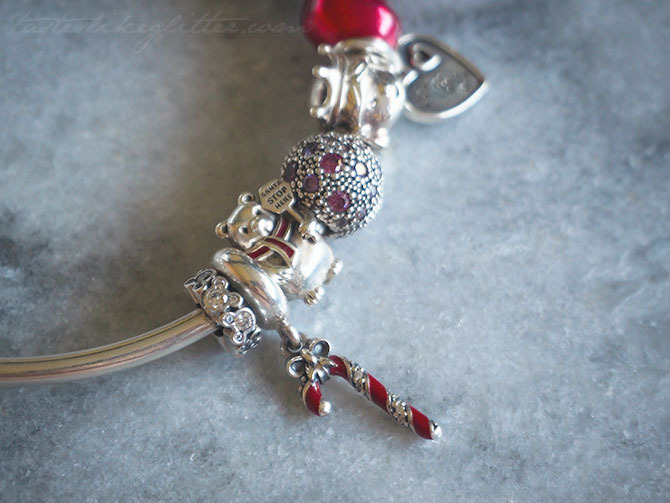 One of the charms I was instantly drawn to was this little Mickey head spacer. Part of what drew me to it was the nearly 40% saving from its original price. Spacers are a good way to break up lots of detailed charms, they're also good to put between charms of different colours so they don't clash too much. They're perfect for filling up any awkward little gaps in your bracelet if you haven't got the room for a full-sized charm. The spacer is unthreaded so it slides right on without any hassle. It has eight little Mickey heads that alternate in which way they're facing. 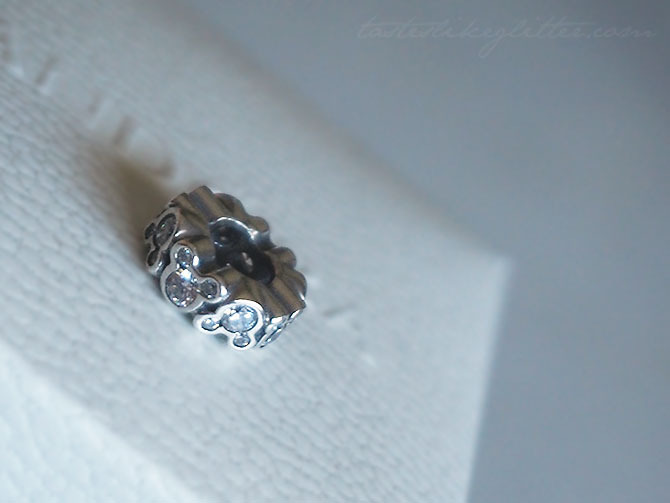 The cubic zirconias give a really nice little sparkle and bring something different than your standard spacers. I'm really happy with this little bargain and urge you all to check out the sale whilst you still can.